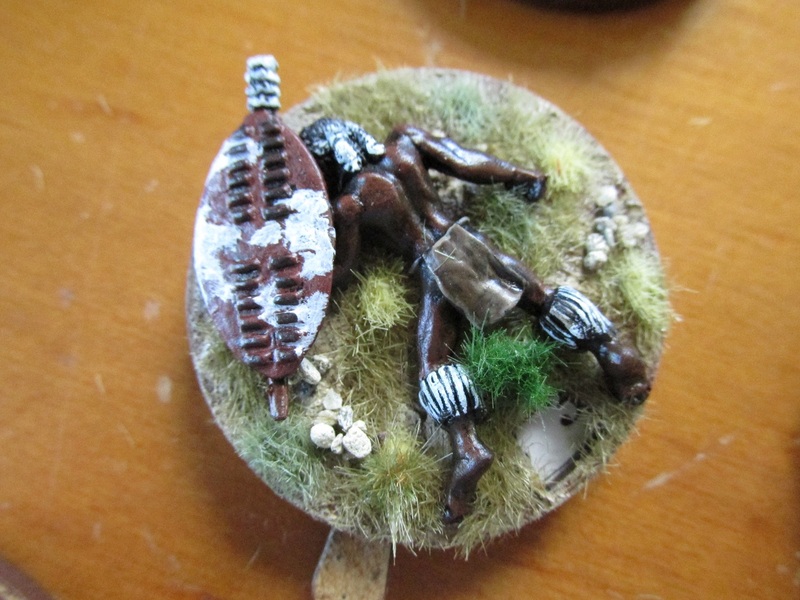 After my last Anglo-Zulu Wars game I decided that dice as casualty markers just don’t cut it. 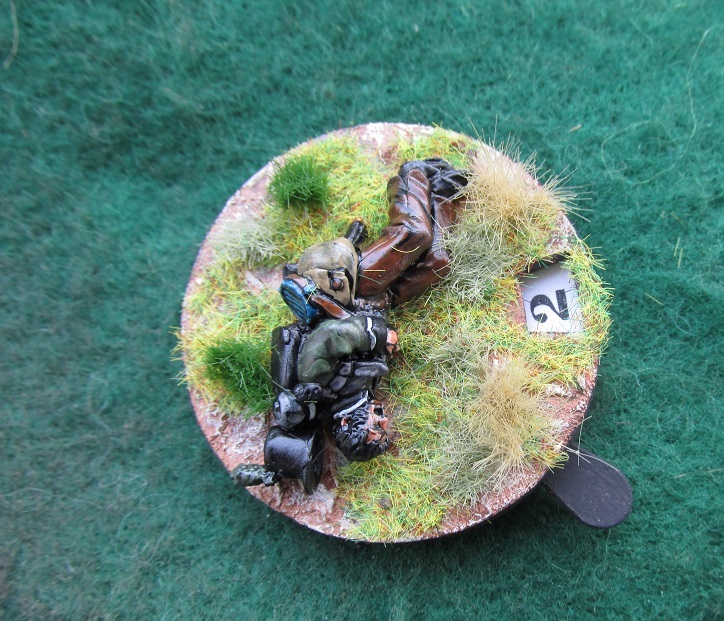 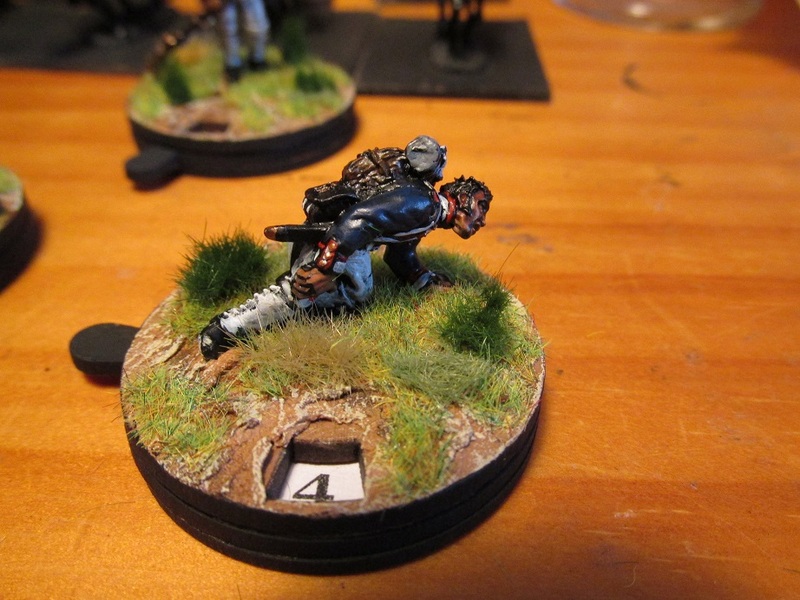 I have a good stash of the wonderful casualty/turn markers from Warbases in the UK. 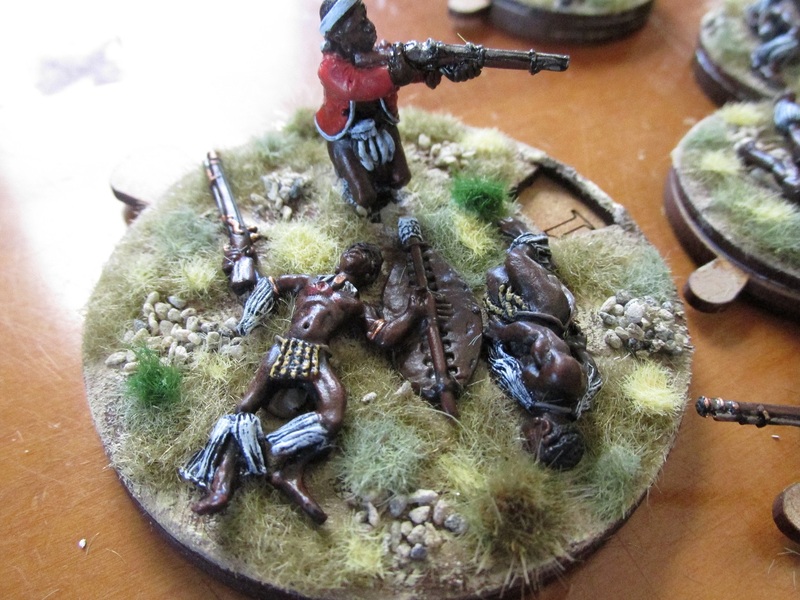 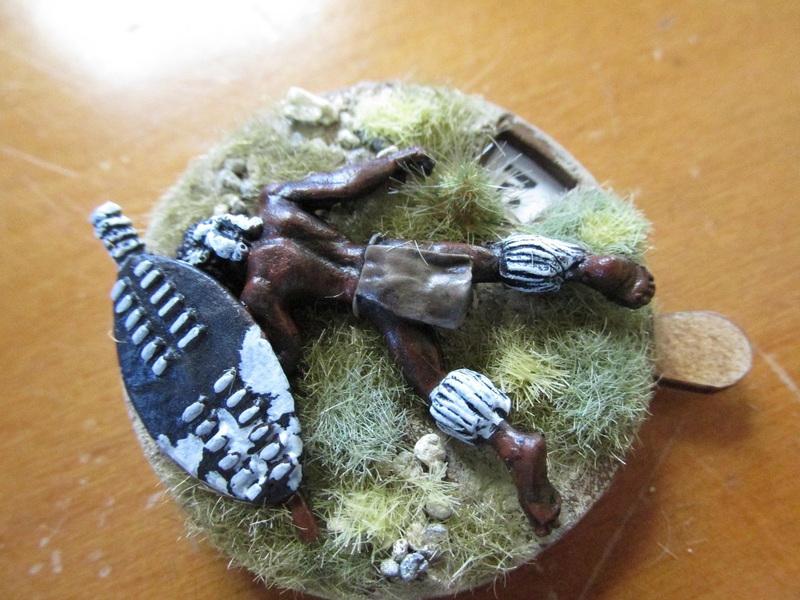 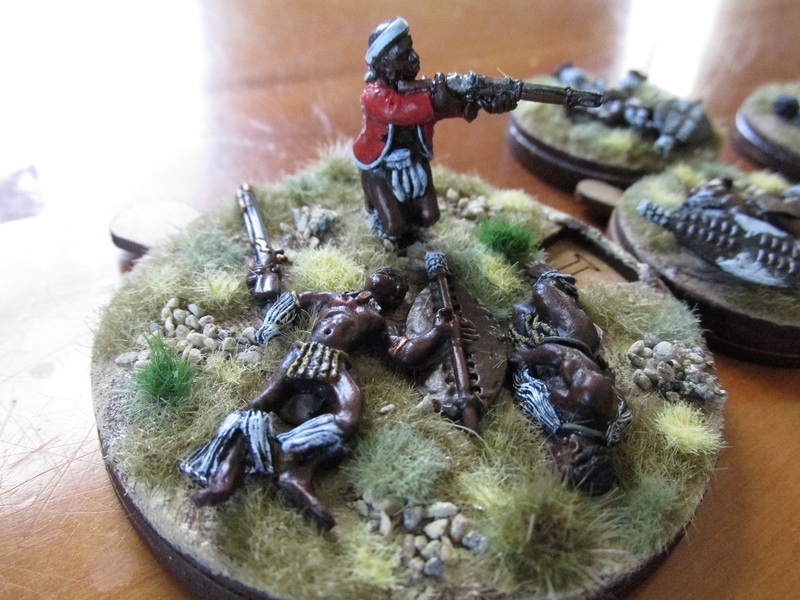 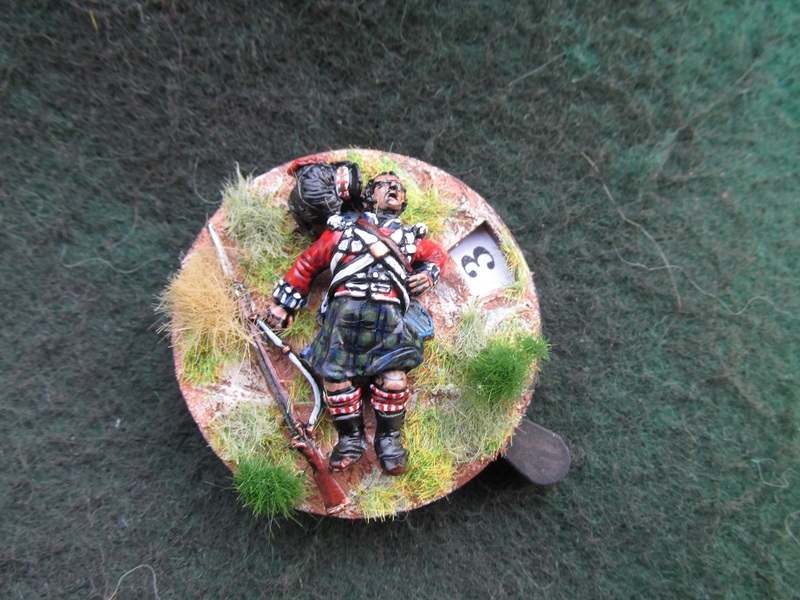 I also had some Zulu casualty figures from Black Tree Designs. 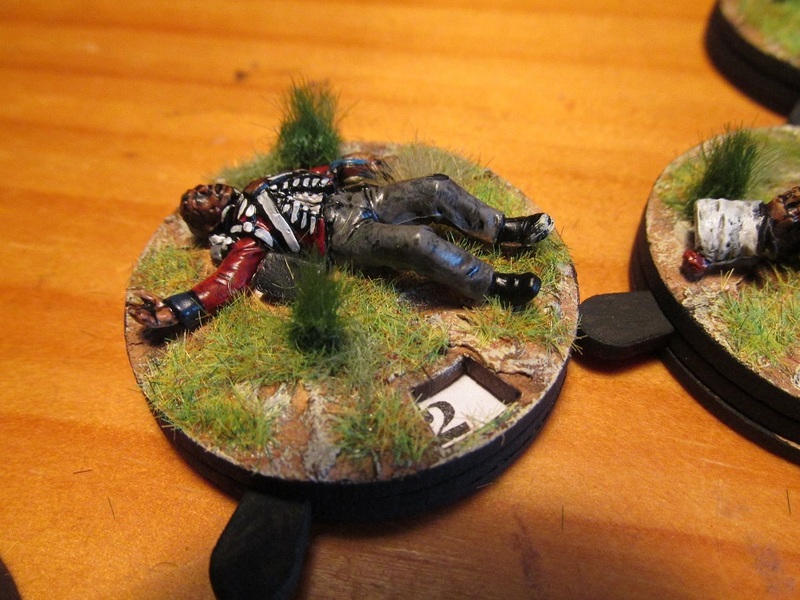 Seemed obvious really. 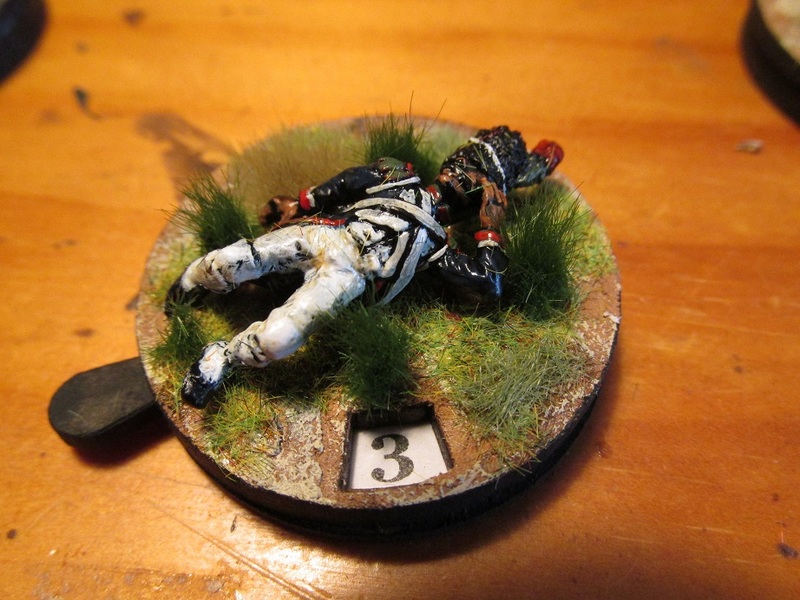 The bases have the numbers 0-12 so can be used for both recording casualties or as turn markers. 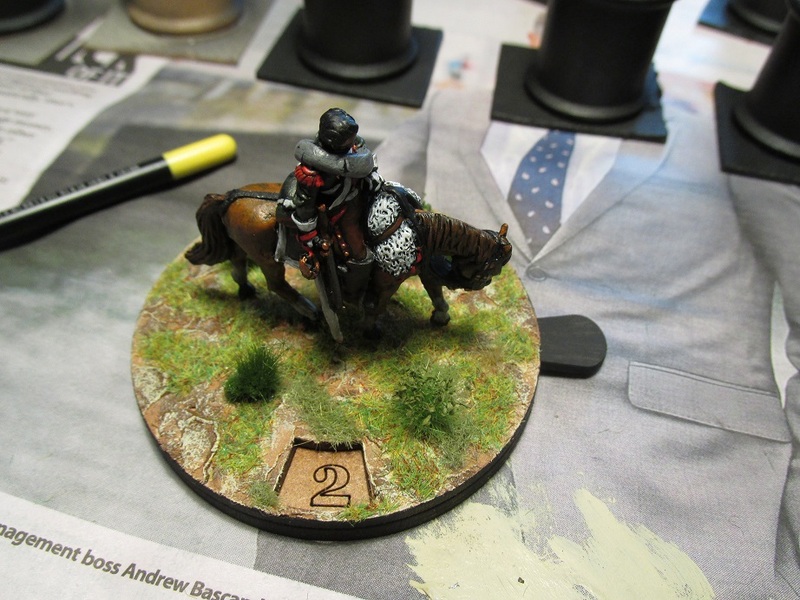 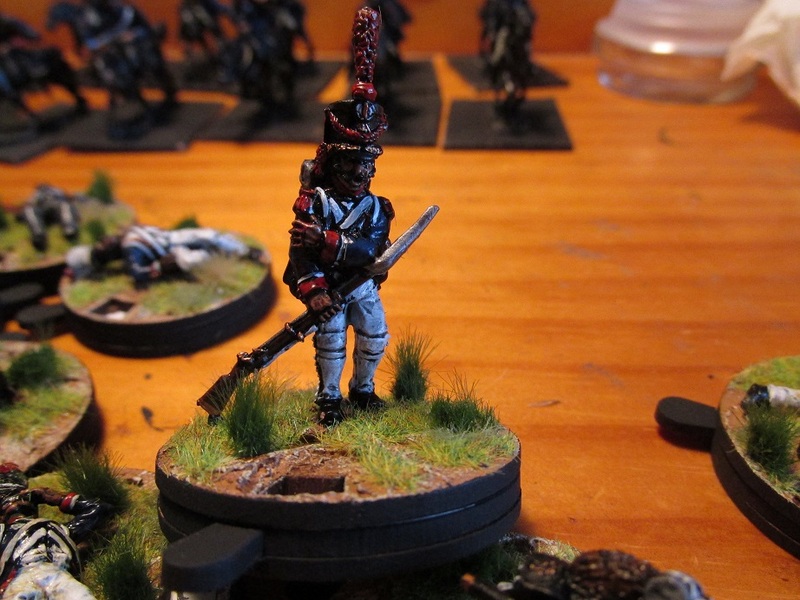 Seven bases – one for each regiment I have painted so far. 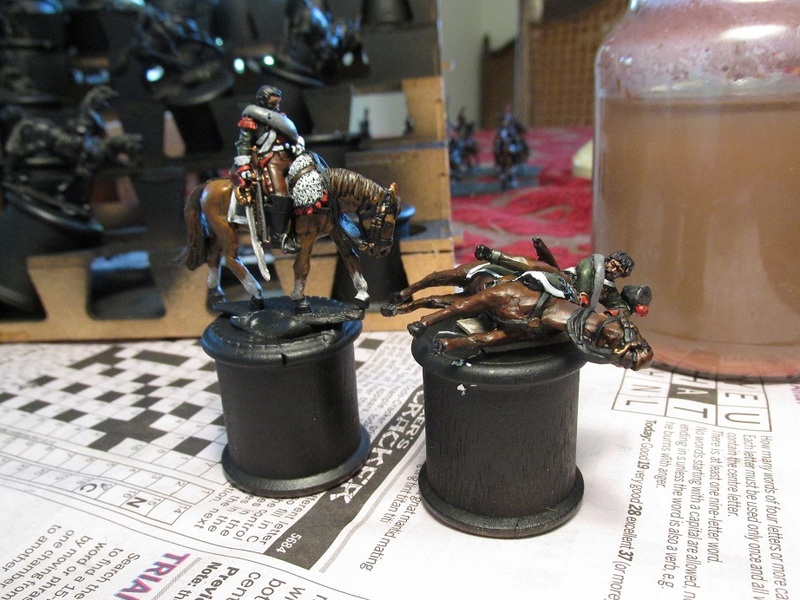 Will need another eight before I am finished. 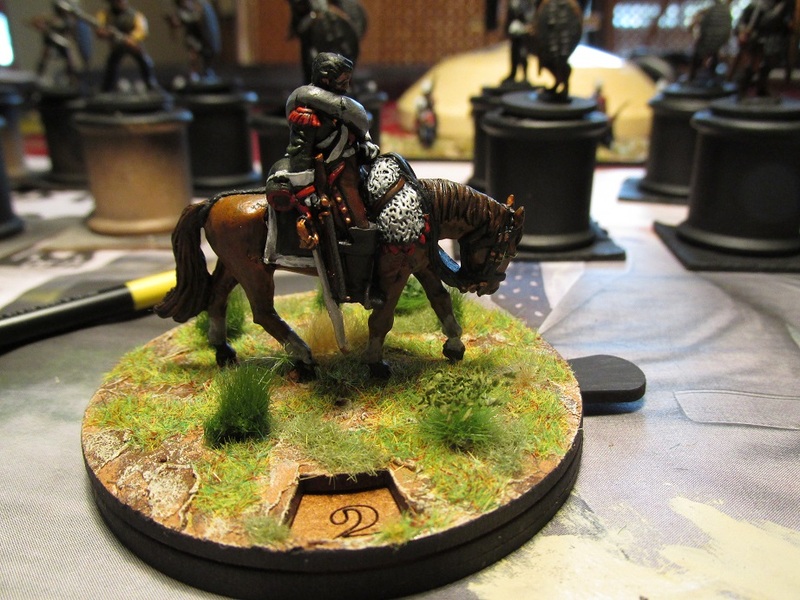 Used one of my 70mm custom made bases for a slightly larger base. 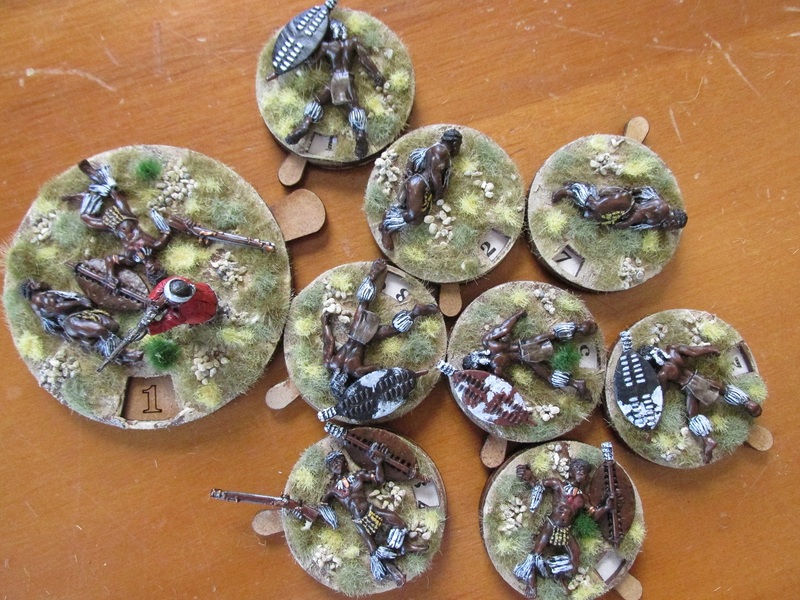 The others are all 40mm. 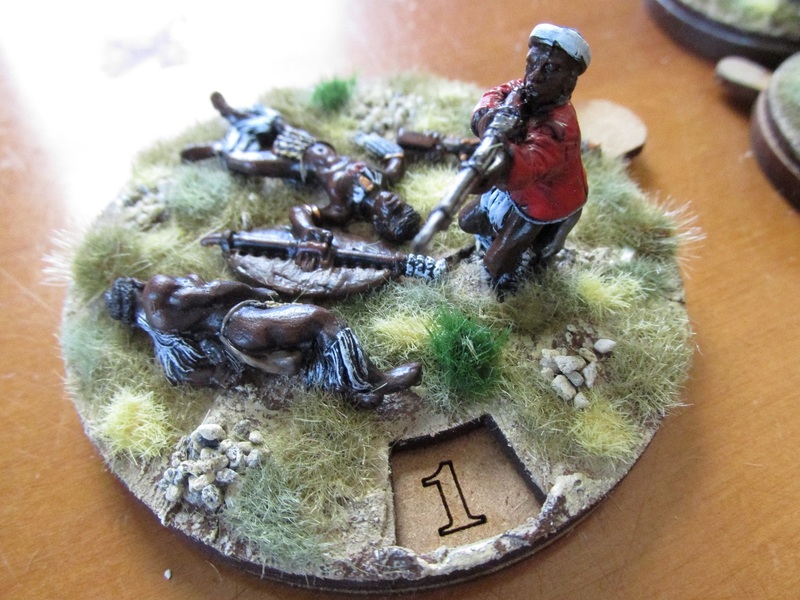 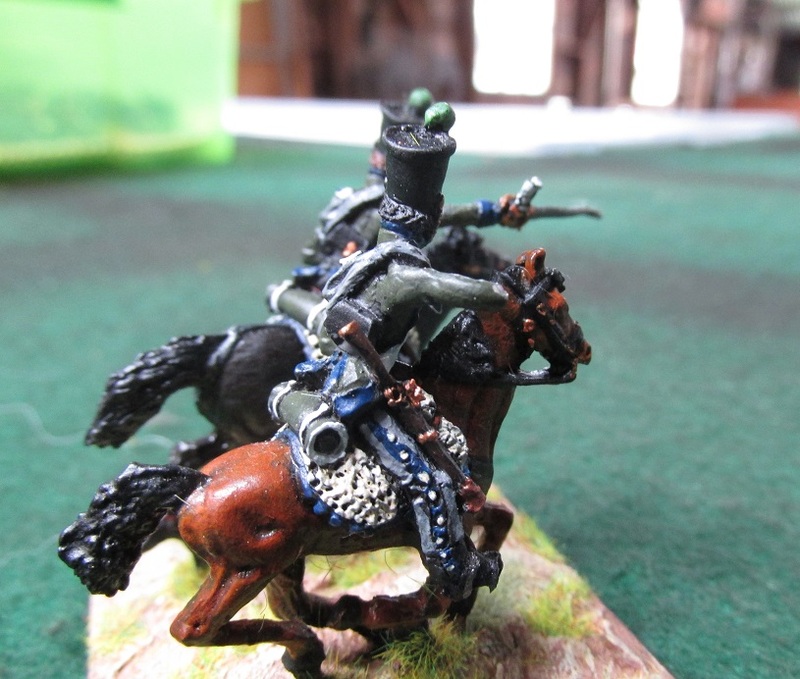 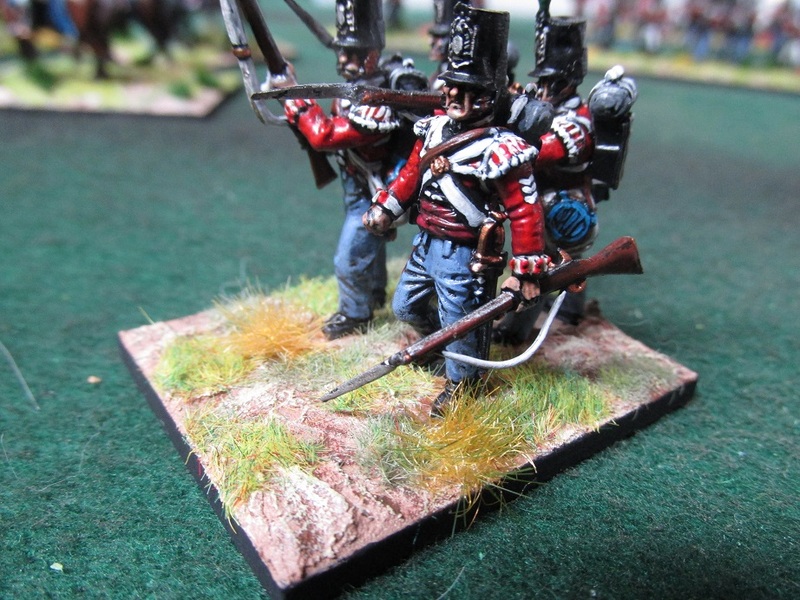 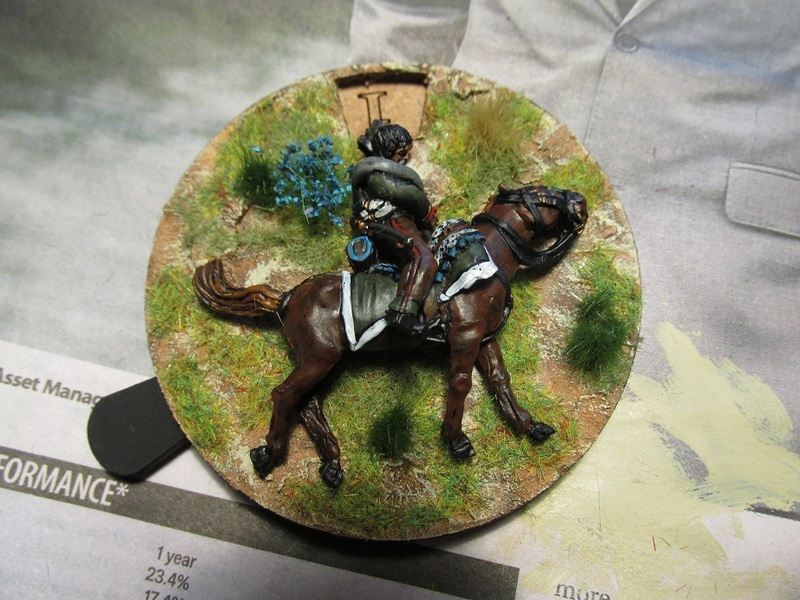 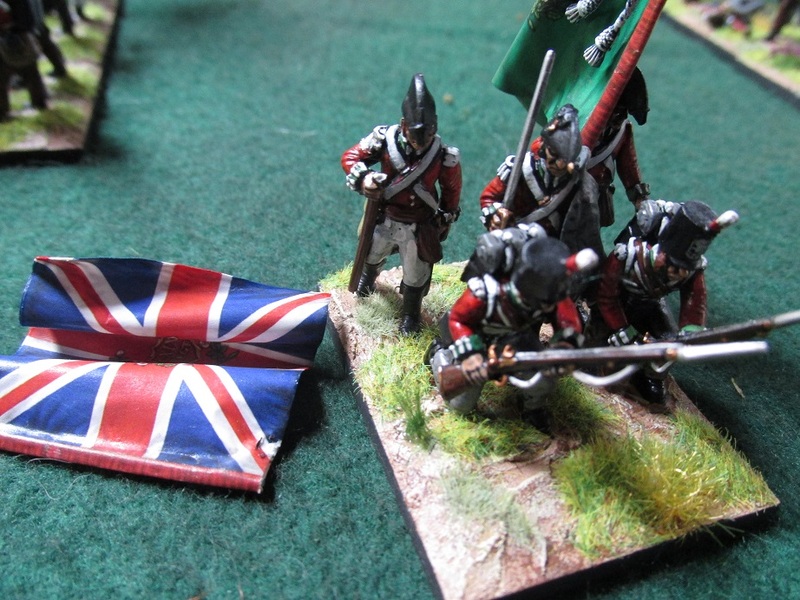 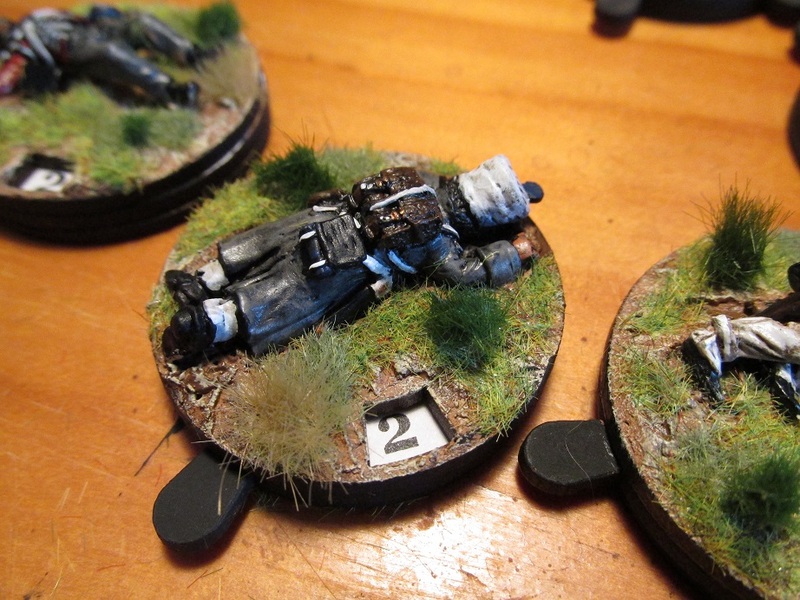 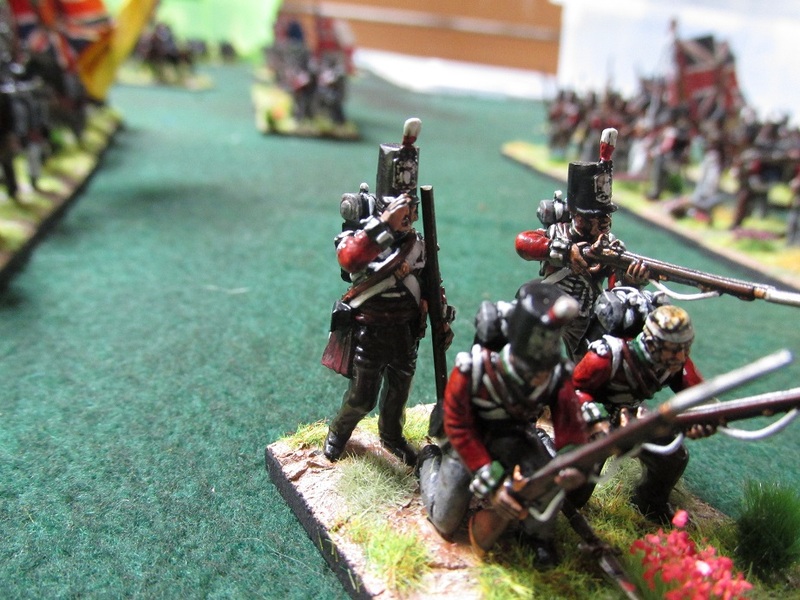 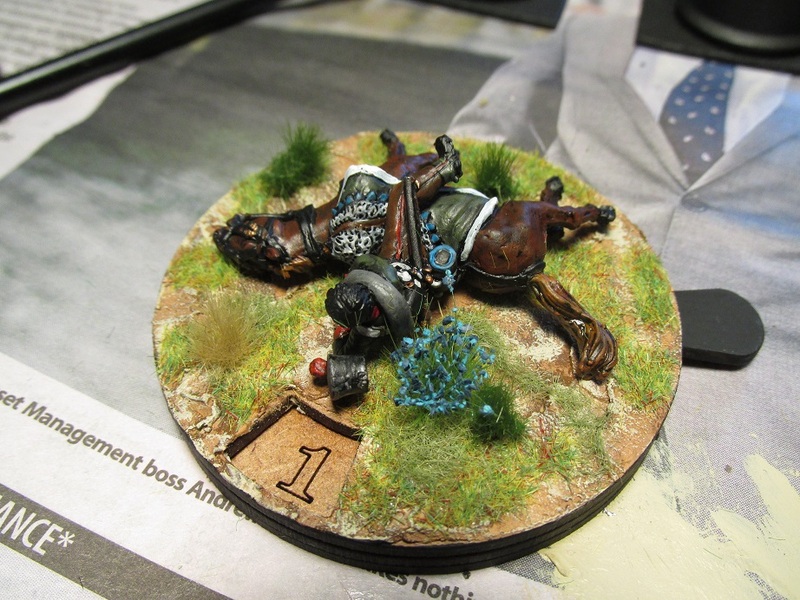 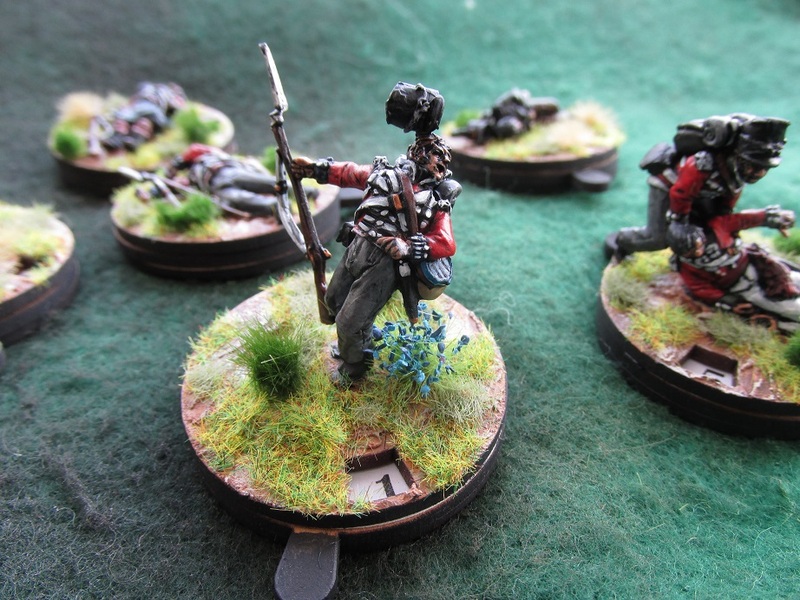 For some time I have been meaning to make some casualty bases for my Napoleonic armies. 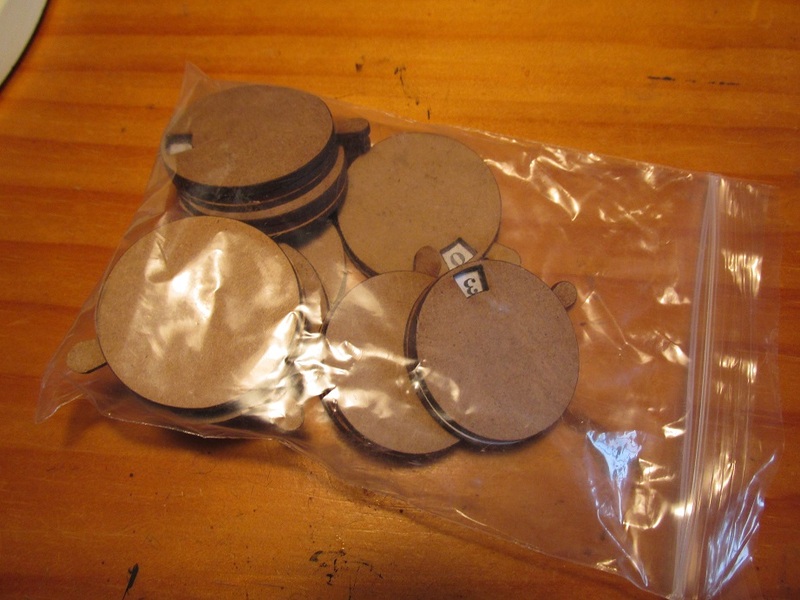 I never really thought about how I wanted to use them. 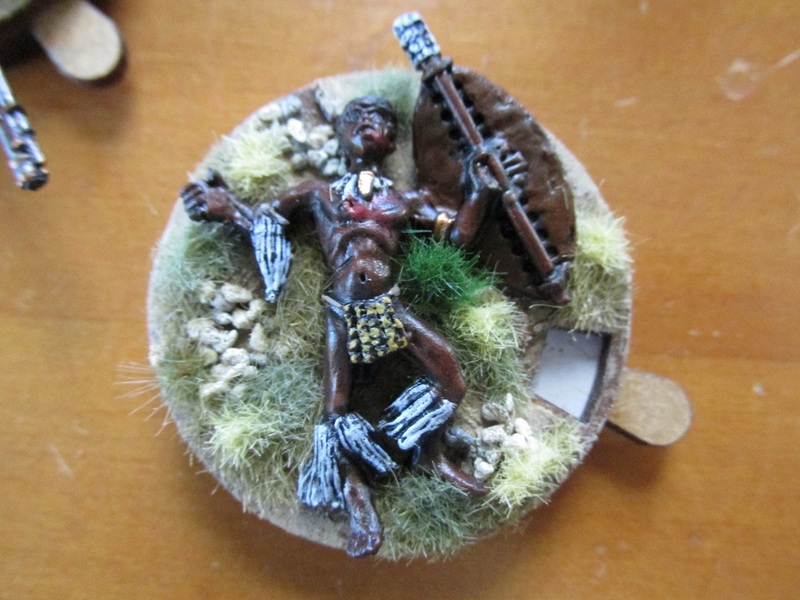 Traditionally a dice behind the unit was used, or even a bunch of figures. 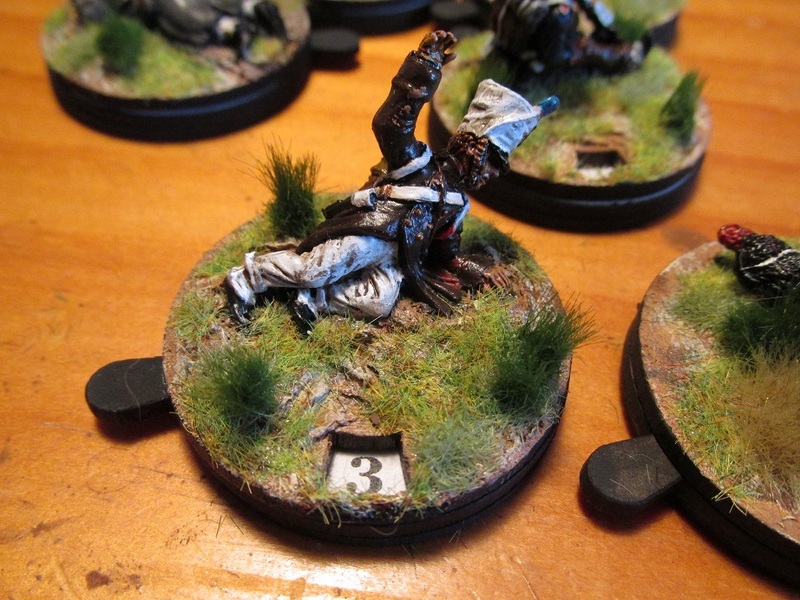 I found the former too detracting from the spectacle of the game, and the latter adding too much clutter to it. 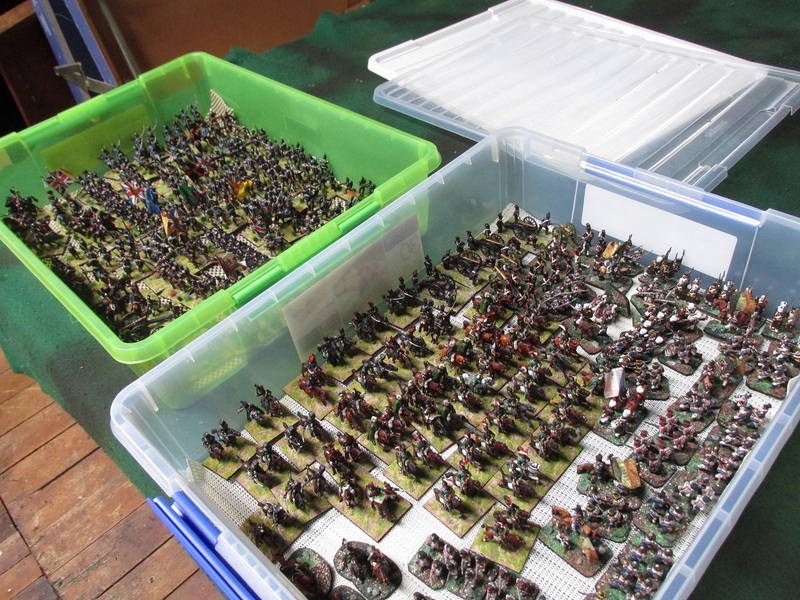 I was surfing the Lead Adventure Forum and on this thread saw a picture of exactly what I was looking for. 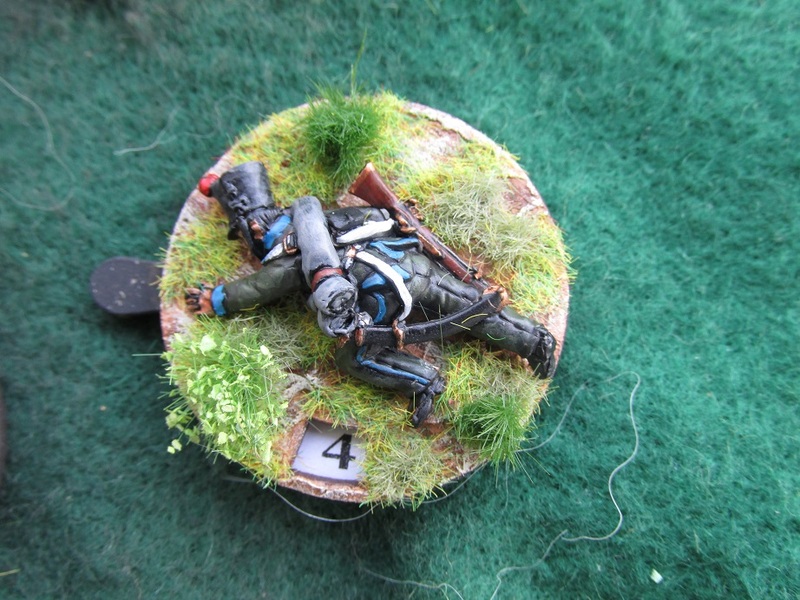 A few questions later and I was looking at Warbases. 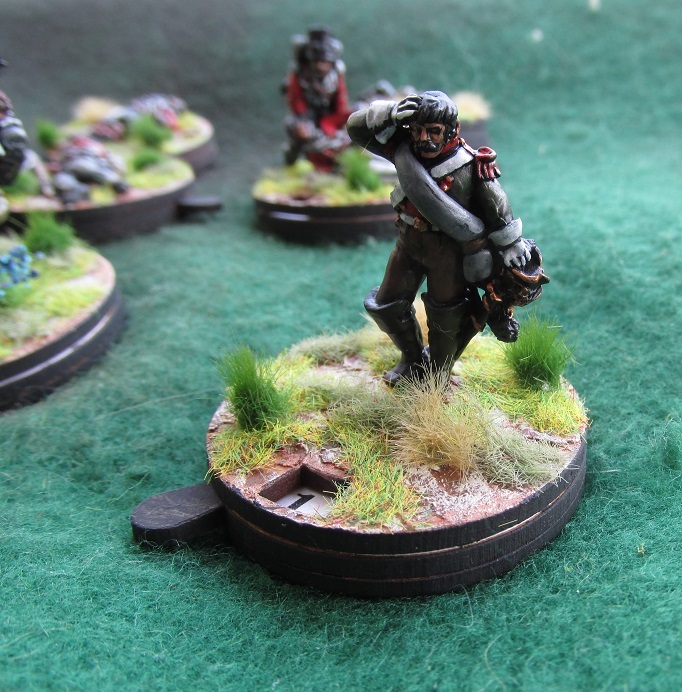 Warbases is a UK based company that makes the usual laser cut MDF bases, buildings and war-gaming accessories, amongst other things. 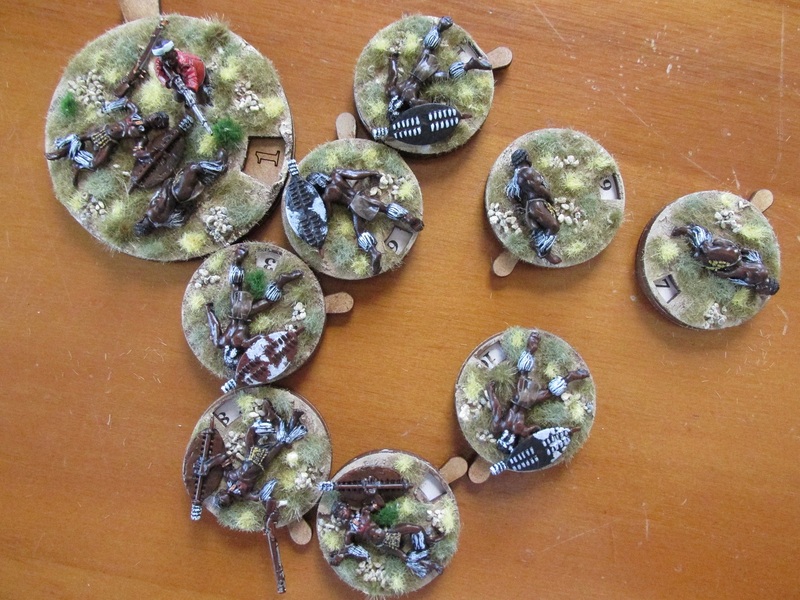 I immediately put in an order for 20 of the 40mm casualty bases with turning lug and not long afterwards our rural postman was delivering a small package to the Woolshed way down south in New Zealand. 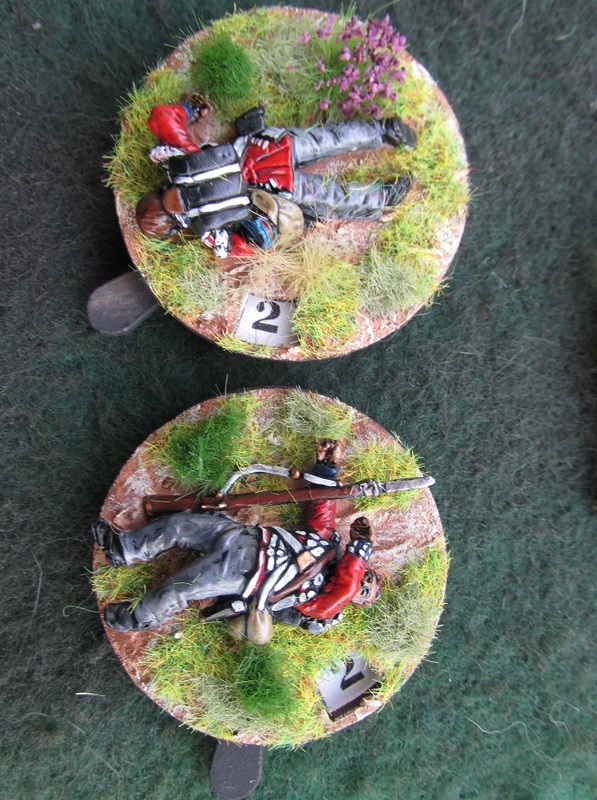 The numbers go from 0 to 12. 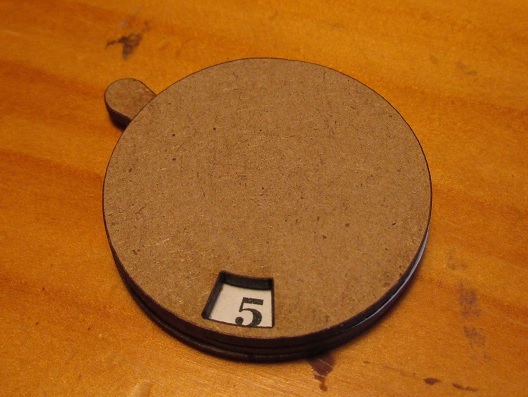 They are cut from 2mm MDF so have a total height of a shade over 6mm. 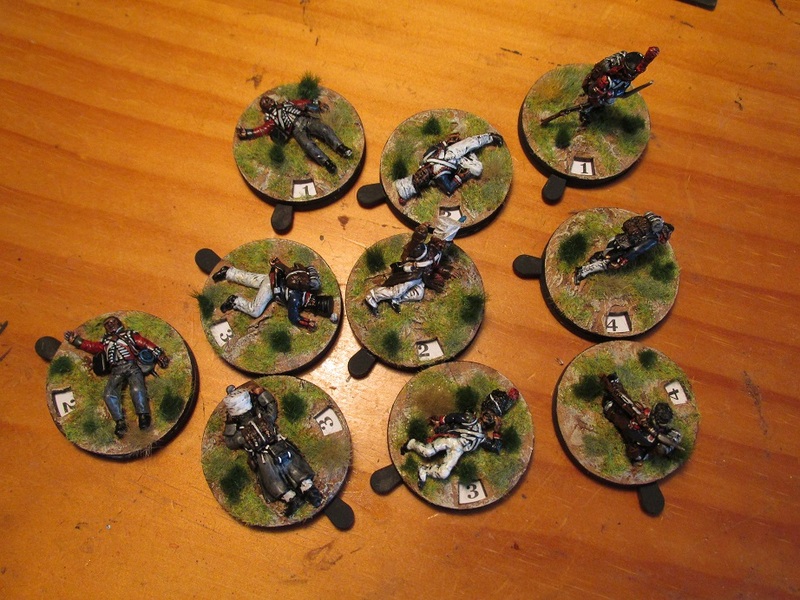 So here are the first ten bases I have made up from some random casualty figures I already had (Front Rank, Warlord Games, Perry and Essex amongst this lot). 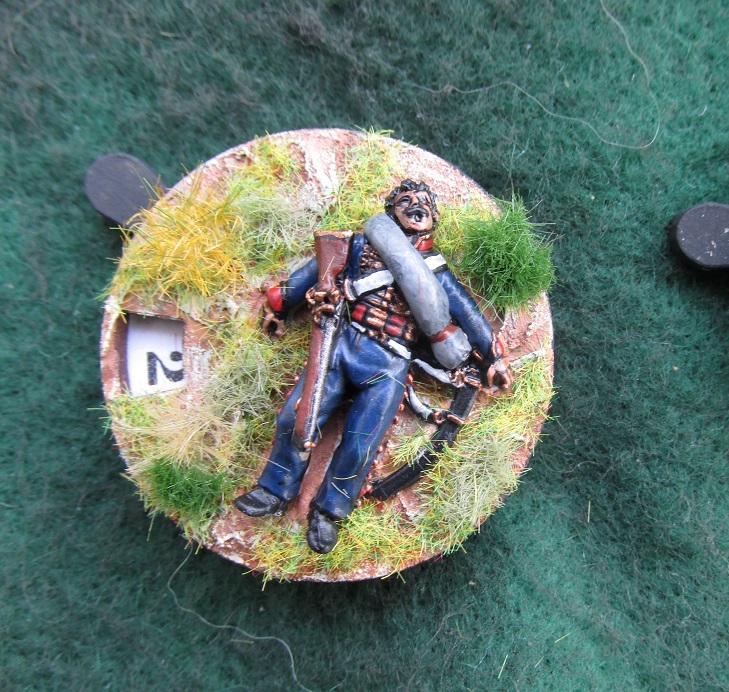 Being the person I am I have been scouring manufacturer’s web sites for casualty figures and have orders for Perry, Eureka, Front Rank and Hinchliffe figures in the works.